« The Limits Of Science. Science Fiction And The Role Of The Potato In Contemporary Norway. My wife recently bought us these very nice popadum-like crispy things the size of long-playing records. The peculiar thing is that on the box it says bakt av potet, or “baked by potatoes”. When I alerted my wife & daughter, they agreed that it was odd. A week or two earlier, my daughter pointed out to us a farm sign by the side of the road that said “Potato Eggs”. Go ahead and laugh, guys. The United States isn’t being taken over by potatoes. Nah. They’re just a cover for the cows. A conspiracy within the conspiracy. The server seems to be down, so you can’t enjoy the travails of a Minnesotan trying to get a riser so his daughter can make lefse. As it turns out, they have risers in Ikea. Is this lefsa? I LOVE lefsa. 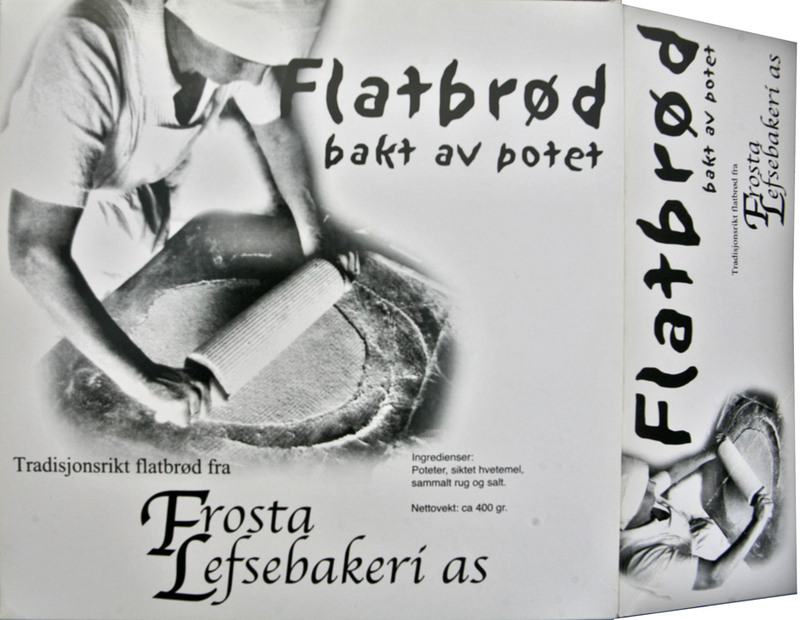 My Norwegian grandmother used to make it. I haven’t had it since she passed away. I could mail you a lefsa, but it might get crumpled. My Norwegian grandmother used to make it too. Okay, upon supply of name & address I’ll mail lefsas to anyone with a Norwegian grandmother, but I’m not using bubble-wrap and I’m not responsible for breakage (he said ungraciously). Vanya, I’m delighted to see you’re here. The surnames of my grandparents: Puricelli, D’Onofrio, Bruzzone & Macchi. Would you believe me if I told you one of them was Norwegian?? Okay, you’re on the list. Dad always said that we were really Vikings. And I was bounced on Dutch and Norwegian knees before ever I met an Englishman. Just a hint, of course. Very sensible. That way people will better guess which part to eat and which to throw away. Okay, dearie can have one, but Sili will have to buy his own. It was probably invented in Denmark anyway. Off topic, but have you heard about what your neighbor’s energy-efficient windows can do to your vinyl siding? I knew there was something weird with those windows. “e” for evil. Grazie!! No, sorry, I mean… Takk!! Good. Let us know how it turns out.